April | 2010 | Read it! Read it! Are you wrestling with final papers and projects? Do you feel clueless about where to begin your research? BSC librarians are here to help with everything from choosing and refining your topic to locating information sources to doing citations. Stop by and ASK US! Student Art Show Reception – Today! 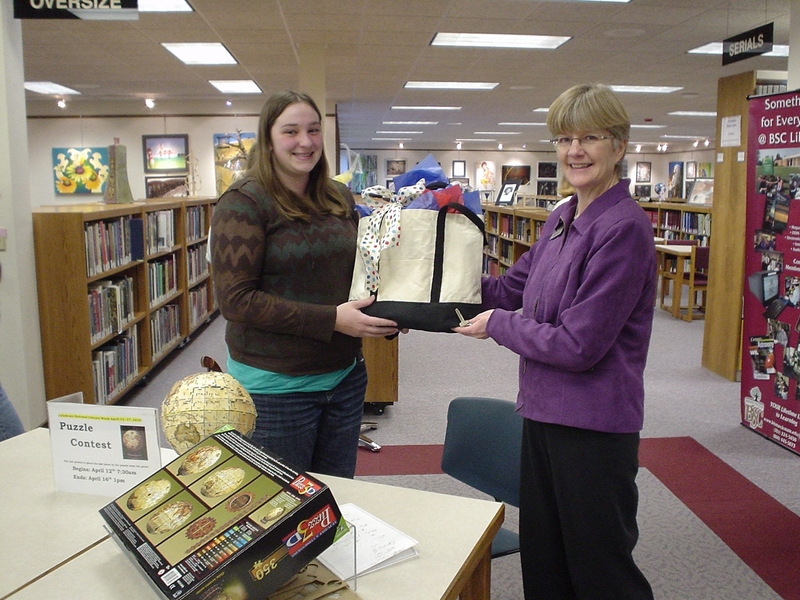 Stop by the Library between 4 and 7 p.m. today to see the annual art student exhibition. It is a treat! 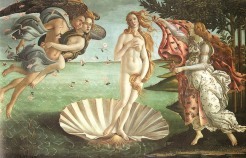 AND, while you’re here, munch on some cookies and add a piece (or two) to the “Birth of Venus” jigsaw puzzle. Let’s get it together! Stop by the Library and add a piece to the puzzle. Today, the American Library Association’s OIF (Office of Intellectual Freedom) released its list of the most frequently challenged books for 2009. Some of the titles on the list may surprise you. Check it out! 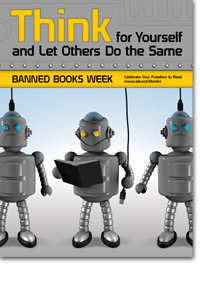 Banned Books Week will be celebrated September 25 – October 2, 2010. Give a Librarian a Hug! It’s National Library Workers Day! Give a librarian a hug. 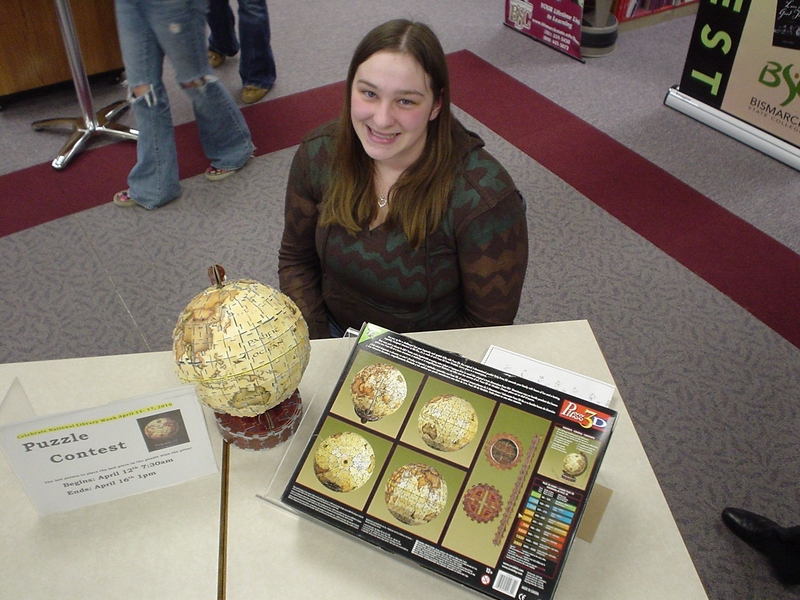 Wendy Ohlhauser did an amazing job of putting the globe together.